East West East is connecting young people not only in Germany but also all over the Europe. 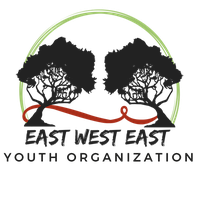 East West East is eager getting to know youngsters and adults, whose opinions, values and cultural background differ. Curiosity helps all of us. East West East wants to connect youth from Western and Eastern Europe: Connecting people, connecting Europe. Together we are stronger! East West East wants to contribute to the peace between nations and people. That is why we cooperate with the organization „Hagener Friedenszeichen“ (Sign of Peace Hagen). East West East wants to strengthen the rights of children and youth. They learn to perceive their rights and responsibilities in our society. Located in the KULTOPIA, cultural centre for youth, we want to express, that we are working in a creative way: With music, dancing, theatre, photography, video making, and many other creative forms.